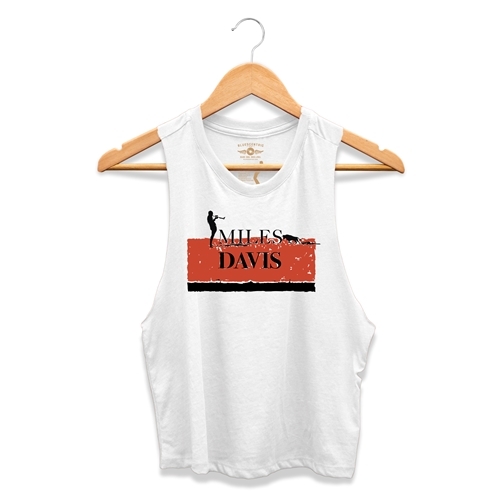 This new official Miles Davis crop top is inspired by a prolific Miles work, Sketches of Spain. The Bluescentric Brand Miles Davis merch comes in relaxed cropped-fit sizes Small through 2XL. It is 52% airlume combed/ring-spun cotton, 48% poly jersey, racerback and features raw edge (unsewn) arm holes.